Provide comfort for the family of Glen Wine with a meaningful gesture of sympathy. Funeral services will be held on Saturday, April 13 at 2:00 p.m. at Stockert- Paletti Funeral Home, 378 Flatwoods Corner Road, Flatwoods, WV 26621, with the family receiving friends from 1:00 - 2:00 pm prior to the service. Burial will take place at Grass Run Cemetery in West Virginia. 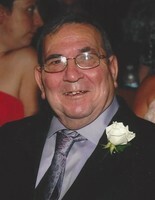 Fond memories and condolences can be shared with the family at stockert-paletti.com. To send flowers in memory of Glen F. Wine, please visit our Heartfelt Sympathies Store.